Species hybrid. 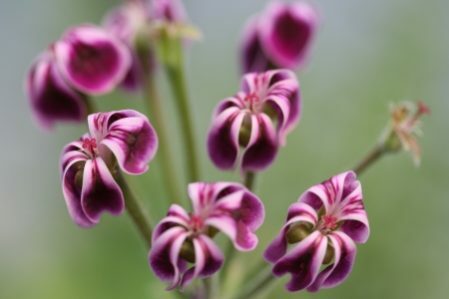 Highly unusual reflex petals of intense purple with pale pink edge. Tuberous. Foliage similar to P. x ardens and fairly nondescript. Ht. 25cm. Sp. 25cm. 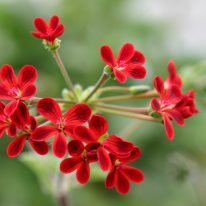 Limited availability, email the nursery direct to go on the waiting list for this plant. Very similar in growth habit to P. x ardens and tends to go dormant in early summer. New leaves are often produced in early winter.